Wheels, they get us moving, keep us on the road, and for some, stand as a symbol of status and pride. You don’t have to be a fan of The Fast and the Furious franchise to be tempted into a bigger wheel option. After all, manufacturers themselves reserve the big rims for higher-end variants, or charge you more for a little extra rolling metal. If you are thinking of up-sizing or changing the wheels on your car to something better looking, you need to keep a few things in mind. A wheel might be a simple round metal hoop to fit the tyres on, but it has as much effect on your car’s handling, ride comfort, and safety, as the rubber wrapped around it. Mark Skaife demonstrates the difference between genuine and replica wheels for the Genuine Is Best initiative. Shopping for an aftermarket wheel can be a daunting experience with numerous makes, models, and specifications to choose from. So, you're spoiled for choice, but don’t be tempted by cheap wheels available online. It can't be stressed enough how risky it is to fit cheap wheels, as they often don’t meet Australian standards for aftermarket parts (known as Australian Design Rules, or ADRs). Though they might look similar to those made by reputable brands, these imitations usually aren’t tested for quality or strength, which is important as wheels are meant to handle a lot of abuse. “Replica” wheels could place you at risk of an accident if you were to drive into a pothole or hit debris on the road at speed. Unlike a tyre puncture which can happen gradually, allowing you time to manoeuvre your car to safety, a shattering wheel is far more sudden and uncontrollable. Thankfully, we have comprehensive Australian Consumer Law and strict Australian Standards for such products, and those standards are very similar to European (TUV) and Japanese (JWL) standards – which is where many name-brand wheels are manufactured, even for car companies! You are almost guaranteed to buy quality wheels from the official Australian distributors of name-brand wheels, so have a hunt around on Google to find the official stockists of the brands of wheels you’re looking at. When it comes to wheels and tyres, it is best not to skimp and buy from a licenced distributor for the proper, standards-approved name-brand wheels. Do you know the lug nut layout on your car? Fitting on a wheel isn’t quite like fitting on a shoe, you can’t just pick the look you like with the size that fits you. The mounting point on a wheel hub can differ between manufacturers. Not only do some cars have five, four, or even three lugs, to mount the wheel on, but the diameter of the arrangement of studs varies between models. This is what is known as its stud pattern (or Pitch Circle Diameter, PCD). 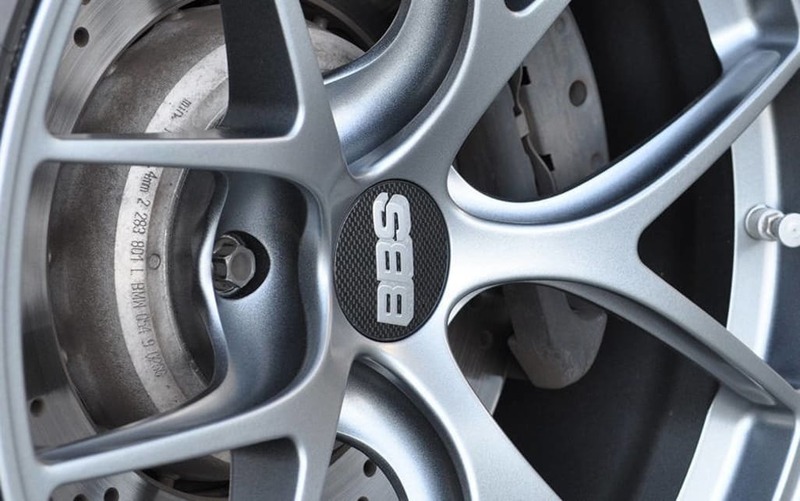 The stud pattern of wheels are usually listed in a vehicle's owner’s manual, or can be found engraved onto some wheels. It is usually found in the numerical arrangement of 5/114, or 5x114. The first number corresponds to the number of mounting holes it has, (in this case is 5), while the second number denotes the distance between the centre of said holes (114mm). These numbers matter, as getting a wheel with a different stud pattern means it won’t fit onto your car’s wheel hub. Changing wheel size without also considering tyre size can affect your speedometer. Most people are aware that changing the size of your car’s wheels or tyres will affect its ride and handling characteristics, though many don’t realise that if these changes are done incorrectly they can mess with your speedometer and odometer readings. This is called “rolling diameter”, which relates to the overall height of the wheel and tyre, and the distance it travels. Many speedometers and odometers use the rotation of the wheels to determine how fast, and far, the car is travelling. The figures you get on your car’s dashboard are assuming the circumference of your tyre aligns with the manufacturer’s original specifications. If you were to use the same profile tyre on a larger wheel, your car’s tyre will have a larger diameter and circumference, which would affect your car’s speedometer and odometer readings as the overall height of the wheel/tyre combo has been enlarged. The larger the diameter of the tyre, relative to the original, the lower the speedometer reading, since a single rotation at the transmission is now covering a longer distance with the tyre’s larger circumference. This means you would be unintentionally breaking speed limits. Try explaining the complexities of such mechanical movements to the police. Likewise, with a larger than specified circumference your car’s odometer would be reading less mileage than it is actually covering, which would make it hard to keep track of actual servicing intervals. Manufacturers often supply different wheel sizes across their model range, but they do ensure the diameter and circumference of the fitted tyre are similar across its variants, by fitting a tyre with the appropriate profile. State laws limit owners from up-sizing their car’s tyres too much, and each state’s rules are different so you should check with the transport department in your state as to what the rules are for modifying the wheels and tyres on your car. Tyre size offerings for your car are usually listed on the tyre information panel, which is attached to your door sill. As a guide, the limit to the wheel size you can fit to your car is usually the largest wheel option available for your particular model from the manufacturer. 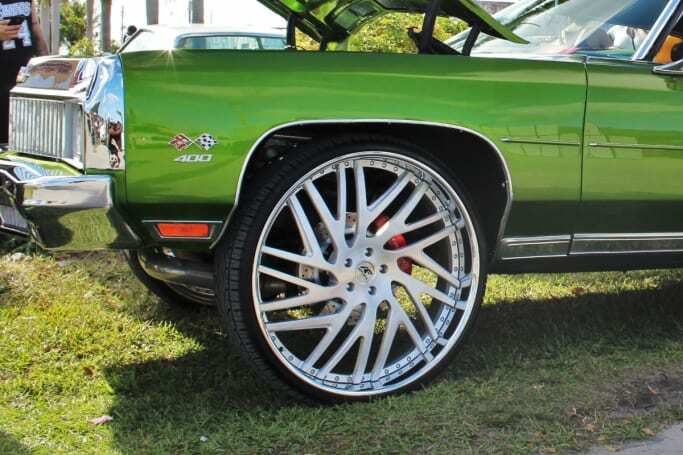 If you are ambitious, up-sizing it by an inch more than the largest wheel option, is still reasonable. Confused by all this? Worry not, as there are plenty of websites and apps on the internet designed to help you calculate the right profile tyre to suit your new wheels. 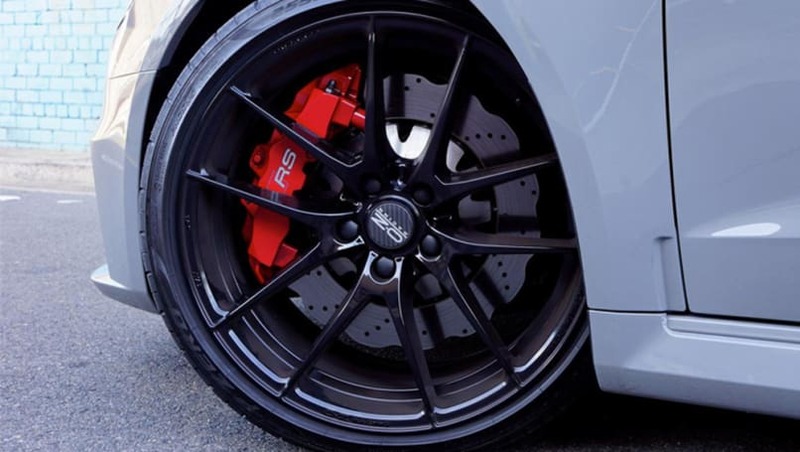 The reason most people give when buying an aftermarket wheel is that they would like something bigger to give their car a sportier look and improve handling. However, while big wheels look good, remember the bigger the wheel the bigger the compromise in terms of ride comfort, and safety. The bigger a wheel and tyre combination gets, the heavier they are. This weighs down your suspension, leading to rougher ride and (in extreme cases) a situation where the wheel will follow ruts in the road, possibly pulling the steering wheel out of your hands. Check the weight of wheels you’re looking at buying against what the factory wheel weighs. While a couple of kilos doesn’t sound like much, it has a huge effect on handling, so try and keep the weight down as far as possible. Increasing a car’s wheel diameter also requires a lower profile tyre, as we mentioned in #3. The height of the tyre is known as the “sidewall” and the thinner that is, the less cushioning effect you get from the tyre. With less rubber between the wheel and the road to absorb shocks your wheel is also at a greater risk of damage from potholes and debris. Fitting larger diameter wheels normally also involves slightly increasing the width of the wheel and tyre. Car enthusiasts refer to this as the “two-plus-one” rule, meaning if you go up a maximum of two-inches in diameter, you only go a maximum of one-inch wider. 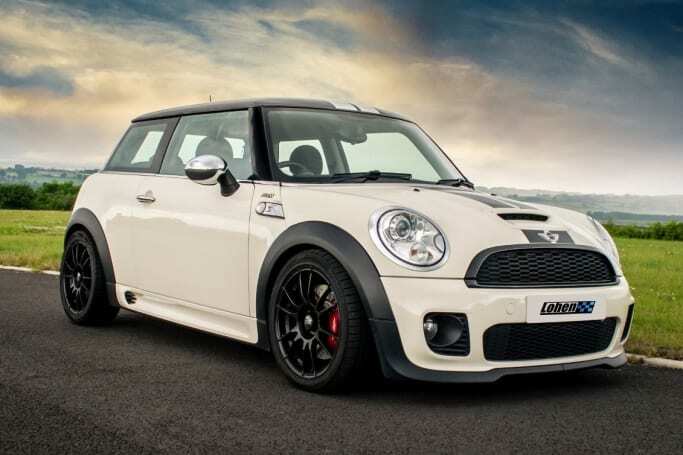 One recent trend with certain car enthusiasts is fitting extremely wide wheels, wrapped with tyres that are smaller than the wheel manufacturer recommends, so the wheel fits on the car. Taken to extreme levels this isn’t safe, or legal. It is dangerous to stretch a tyre onto wheels far wider than it was designed to fit, as the tyres’ sidewalls are load bearing structures that have been designed to work at a 90-degree alignment to the wheel. Stretching a tyre pulls this out, sometimes to under 45-degrees, which compromises structural strength and runs the risk of the tyre popping off the wheel, causing a sudden blow-out. A wheel’s offset relates to the distance between the wheel’s mounting hub and centreline. If the face of the mounting hub sits behind the centreline (so the mounting hub sits “inside” the barrel of the wheel), that means the wheel has a negative offset, whereas if it sits ahead of the centreline (meaning the mounting hub is further out towards the edge of the car), it has a positive offset. Offset is measured by 'ET' (from the German word Einpresstiefe, translated as 'insertion depth'). The higher the “ET number”, the more positive the offset is from the wheel’s centreline, while a negative number translates to negative offset. Why is offset important? Offset changes affect the look of a wheel, but it also affects the way the suspension reacts to movements from the wheel. Since the suspension assembly is attached to the wheel’s mounting hub, the angle and forces transmitted from the wheel to the suspension components are slightly different. This in turn could affect the car’s steering response and characteristics if the wheel offset has been changed significantly. 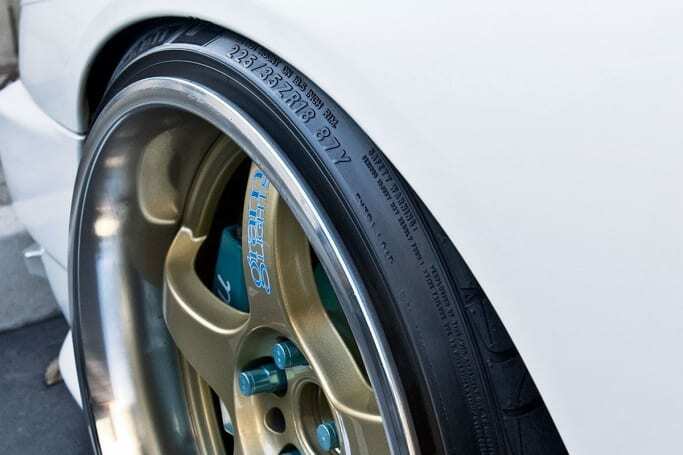 Some wheels will also not fit on a particular car as that wheel’s offset pushes the wheel into the suspension, or mounts it too close to clear the bodywork. There are plenty of calculators online to help work out what offset your car needs, and any reputable wheel shop will be able to advise what offset your car will need, when changing wheel or tyre size. Have you got any horror stories about aftermarket wheels? Tell us in the comments below.